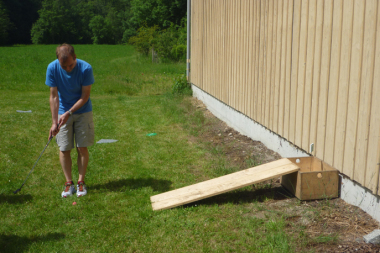 Together with you we create an exciting adventure course with six to nine holes. Besides the sporting challenge which this brings, the local surroundings can also be perfectly integrated into the game's course and presented to the participants in a fun way. In the hotel, for example, we will play in various rooms, in the lobby etc. In the office, we can include the individual departments or projects/products in the course planning. The division into small groups ensures that the participants have plenty of time to communicate and get to know each other. Why not surprise your customers with this activity or help your team grow closer together with this trendy sport. Combining the golfing event with a meal is also very popular (e.g. 3 items / stops to start with, holes 4 - 6 after a starter and then holes 7 - 9 after the main course). 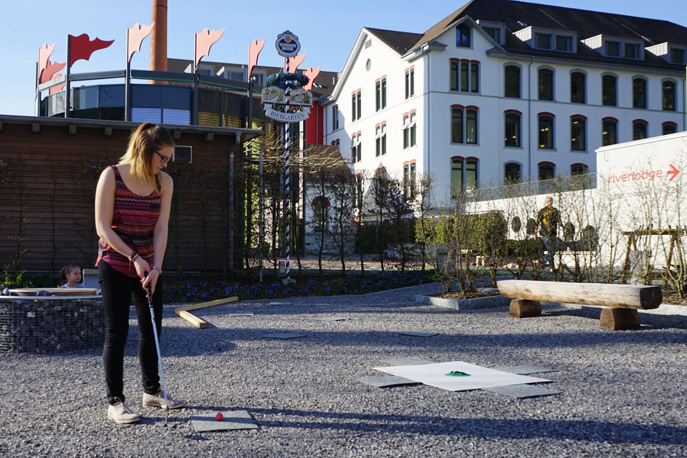 Office golf can be played almost anywhere, it's straightforward, does not require any previous knowledge and is great fun. What's more, it's weatherproof and suitable for beginners as well as pros. Use of golf clubs (for left and right-handed players) and balls, putting cups ("target hole"), winner's cup, supervision by qualified guides. 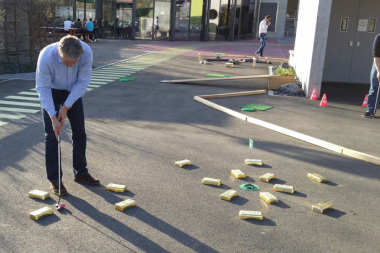 Hotel and office golf is played with special golf balls for various floors (parquet, carpet etc) to ensure safety and ideal playing conditions. The holes have been designed to ensure that both beginners and pros enjoy the game. May also be included as an item on the Games course or Adventure course. Possible as team competition or individual competition (winner's cup included).